ApexNetwork Physical Therapy is excited to announce we will be opening on March 1st in St. Louis, MO! The clinic will be located within Central West End at 4100 Lindell Boulevard. ApexNetwork has over 40 locations nationwide. ApexNetwork Physical Therapy is a premier provider of physical therapy. 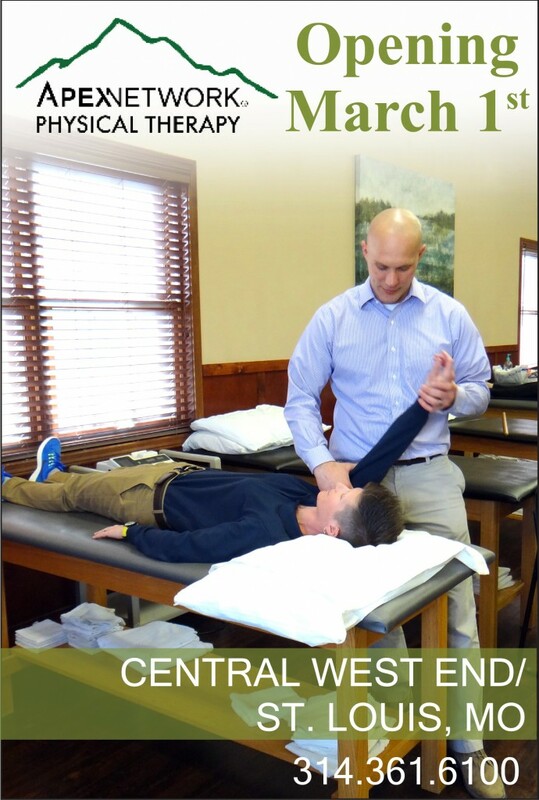 The St. Louis clinic is a full service therapy provider and will offer physical therapy, sports rehab, industrial rehab and instrument-assisted soft-tissue mobilization. For more information or to schedule a future appointment in St. Louis, call 314-361-6100 or visit www.apexnetworkpt.com. Keep a look out for further details about the clinic opening! ApexNetwork Opening Soon in Maryland Heights, MO! Opening Soon in Lake St. Louis/Dardenne Prairie, MO!